Hotels, motels, and other sundry accommodations, in general, hosted a record-setting number of visitors last year who spent a record-smashing $22.7 billion (an average $62 million per day) while vacationing here last year, according to new research from Arizona’s Office of Tourism. Expanded international air routes, the state’s strong economy, moderate gasoline prices, and an aggressive international marketing campaign created a perfect storm for generating tourist revenues of bombastic proportions. Both American and foreign visitors enjoyed 43.9 million overnight stays, on average, nearly four nights each before leaving for home, their pockets $22.7 billion lighter and directly supporting 187,000 jobs, mainly in the hotel and restaurant industries. The state doesn’t track the number of visitors who travel through, instead choosing to keep tabs on things like the number of overnight stays, spending, and similar data. The state doesn’t track the actual number of tourists but rather overnight stays, spending, and related data. Tourism spending equated to about $62 million a day. Visitors tended to stay nearly four nights each on average. The video marketing campaign that launched a global convergence of tourists upon Arizona and subsequent windfall for Arizona’s hospitality industry, (which currently employs more than 329,000 workers) was a collaborative effort between the Arizona Office of Tourism and filmmakers from Brand USA, a national organization that markets the United States as a travel destination to the rest of the world. 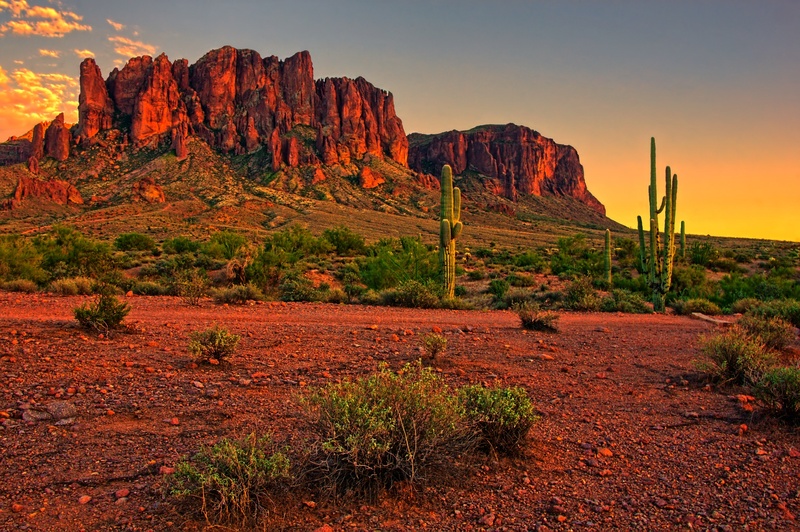 The strategy was to create videos that showcase Arizona’s jaw-dropping mountain ranges, canyons, and geological wonders, as well as activities and interests that Brand USA’s extensive marketing research determined attract international travelers to the American Southwest. Talk about having it all, Arizona tourism forecasters are responding excitedly to recent announcements that the 2023 Super Bowl will be hosted here and Final Four of the NCAA men’s college basketball tournament in 2024 may be an omen for tourism yet to come.